When it comes to advertising your business, there’s no better way to get your brand out there than with a customized vehicle wrap. At Apple Graphics, we understand that your company brand needs to get noticed. That’s why we offer a full line of customized vehicle wraps for all of your advertising needs. If you need wraps for your corporate vehicles, then Apple Graphics can design, print and install them, all for an affordable price. Whether you have a brand new business or an established company, the technicians at Apple Graphics have something that will suit your needs. Our technicians are industry leaders and are proud to offer their creative skill set. They are willing to answer any questions that might arise, and they are proud to offer their expertise. 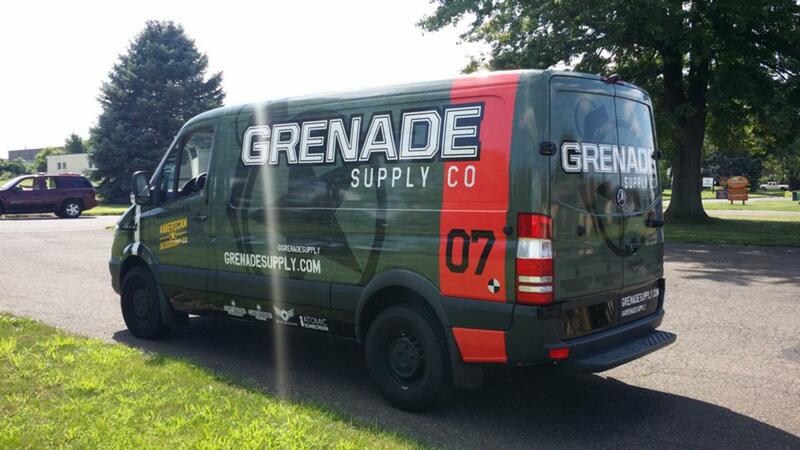 The next time you need a vehicle wrap specialist, Apple Graphics is ready to assist. At Apple Graphics, we work with local businesses to make your corporate vehicles stand out from the competition. We understand the value for a unique graphics job, and we provide only the highest quality, professional work to back up our name. If you’re in the market for a personalized, creative graphics project, then stop by our storefront to see what we can provide. Our dedicated installers will assist you in picking out individualized graphics for all of your corporate vehicle needs.